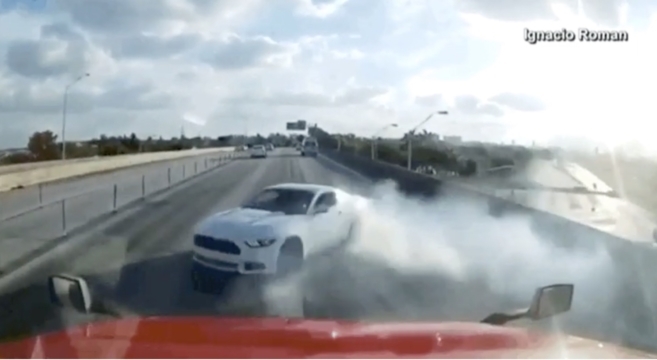 Dangerous driving is never to be condoned, but this is worth a look – an incredible high-speed 360 turn by a Mustang smack in the middle of a highway and right in front of a moving semi-truck. The truck driver reported that the Mustang came almost out of nowhere on the left side of his dash cam, did a 360-degree spin in front of the truck, then straightened out and continued on—damage and all—like it didn’t happen. Watch the incredible footage inside.